Pure Giftcarat is engaged in trading and retailer ship of diamonds in Surat. Its operations include sourcing of diamonds from primary and secondary source suppliers in the domestic market and sale of diamond to the retail and wholesale operations in India. The company primarily sells diamonds to a customer base spread across domestic markets that includes various jewellery manufacturers, large department store chains, retail stores and wholesalers. 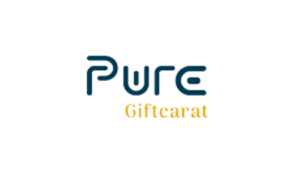 Pure Giftcarat has independent sales and distribution networks for its products. A substantial majority of its cut and polished diamonds are sold to diamond wholesalers and the jewellery manufacturers in the domestic markets. The company has a centralised procurement policy and generally purchase in large volumes in order to stock and facilitate online sales of diamonds from its web stores from Surat. By purchasing in large volumes, it is able to purchase inventory at lower prices than our competitors, which enables it to sell our products at competitive prices. Pure Giftcarat IPO allotment status is now available on Bigshare Services Private Limited website. Click on this link to get allotment status. 85 crore turnover pe 12 lakh profit!!? So many ppl around me are earning better than this Pure Giftcart. Doesn’t look good at all, wonder how such companies are allowed to do IPO. That is a very narrow way to look at it. Just look at the revenue growth, its explosive. Besides profitability can always be increased by controlling expenses. It all depends on the management of resources which the company may look into in the future. It is high risk for sure but we cannot negate the ipo altogether.